The Obama administration is refusing to publicly release more than 500 documents on the IRS’s targeting of Tea Party groups. Twenty months after the IRS scandal broke, there are still many unanswered questions about who was spearheading the agency’s scrutiny of conservative-leaning organizations. The Hill sought access to government documents that might provide a glimpse of the decision-making through a Freedom of Information Act (FOIA) request. The Hill asked for 2013 emails and other correspondence between the IRS and the Treasury Inspector General for Tax Administration (TIGTA). 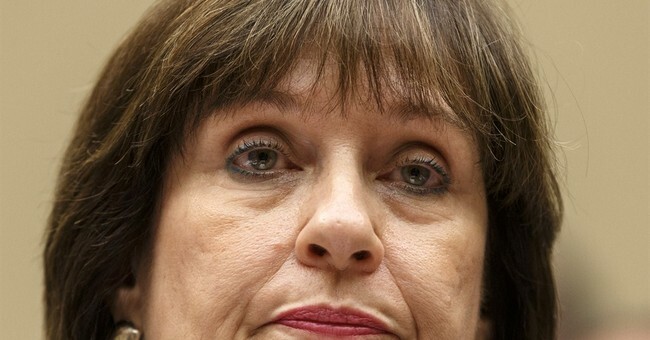 The request specifically sought emails from former IRS official Lois Lerner and Treasury officials, including Secretary Jack Lew, while the inspector general was working on its explosive May 2013 report that the IRS used “inappropriate criteria” to review the political activities of tax-exempt groups. TIGTA opted not to release any of the 512 documents covered by the request, citing various exemptions in the law. The Hill recently appealed the FOIA decision, but TIGTA denied the appeal. TIGTA also declined to comment for this article. In its written response to The Hill, TIGTA cited FOIA exemptions ranging from interagency communication to personal privacy. It also claimed it cannot release relevant documents “when interference with the law enforcement proceedings can be reasonably expected.” Yet, congressional Republicans say there is no evidence of any prosecution in the works, and media outlets have indicated that the Department of Justice and the FBI have already determined that no charges will be filed. Rep. Jim Jordan (R-Ohio) notes that eight months after Lerner was held in contempt of Congress for not testifying at two hearings, the matter has not yet been referred to a grand jury. You're asking about a few hundred emails over here, but look over there at those tens of thousands of other emails we dumped without warning, nearly two years after they were requested! And of the document drop, who's to say that the most relevant or damning emails weren't deliberately excluded, as was the case in the Benghazi cover-up? I should point out that this lack of cooperation emanates from the Inspector General's office, which is interesting, given the IG's role as a pro-transparency watchdog. We don't know nearly enough to impugn anyone's motives within TIGTA at this point -- recall that Democrats launched a shameful assault on the IG's credibility when this scandal was a front-page story -- but it's not surprising that some Republicans are frustrated. And it's not as if GOP lawmakers haven't questioned TIGTA's practices in the past: When the IRS scandal broke, it eventually became clear that the IG's office and elements within the Obama administration knew of the agency's abuse months prior to the 2012 election, but the scandal's existence was successfully buried until the spring of 2013. Don't forget, incidentally, that the White House's official story on how any when they were made aware of the targeting practices shifted roughly half-a-dozen times before they finally settled on an answer. It also seems worthwhile to note that a separate Inspector General's office came under withering criticism last year for a report on the VA scandal, the findings of which were reportedly watered down following political pressure from the Obama administration.